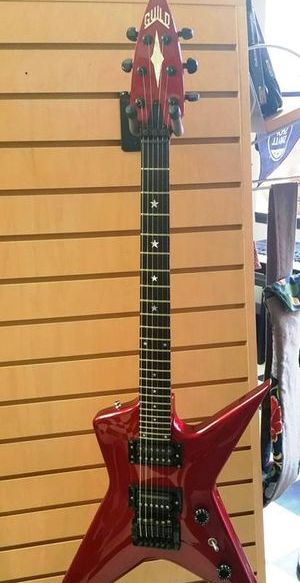 If you can't handle the rock star life than this ISN'T the guitar for you! Guild made the X88D "Flying Star" from 1984 to 1986. This one is American-made in Westerly, Rhode Island, and the body and finish are in terrific shape. 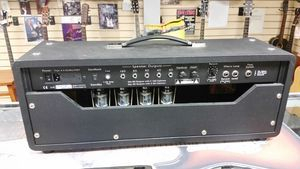 NEW Custom Audio OD100 Amp head! John Suhr and Bob Bradshaw teamed up to make this beauty. Can't afford a Porsche? 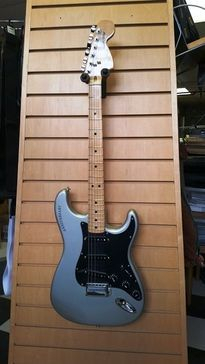 Well then how about a 1979 25th Anniversary Fender Stratocaster in Porsche Silver? Serial No. 251322. Has one slight blemish on the bottom edge but hasn't been played. Comes with original hard shell case and paperwork. This Greco AH-2 Hollowbody looks gorgeous and plays beautifully. It's made in Japan, probably late 1960s but we can't find a serial number. Body is laminate wood with a 3-tone sunburst finish, pickguard material (mother of toilet seat!) 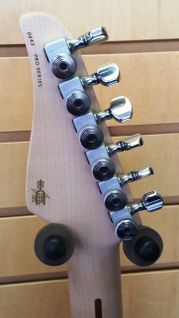 on headstock and pickguard, and pearloid inlays on the neck. 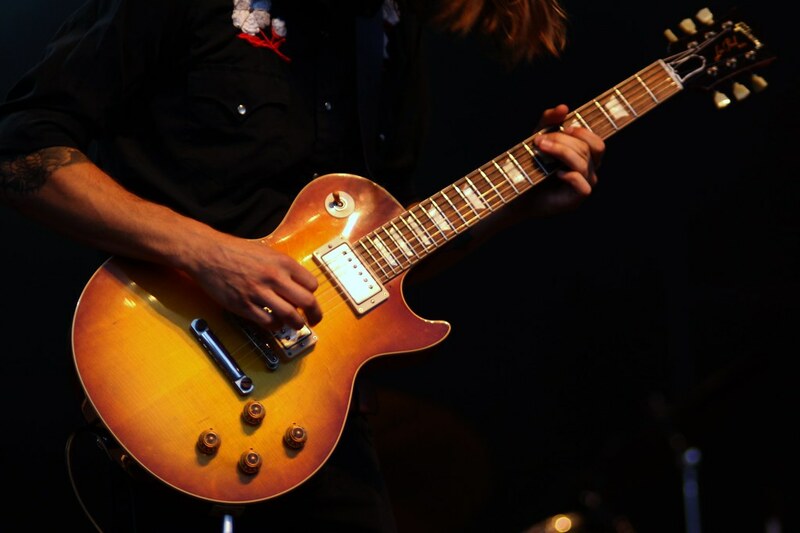 Everything - knobs, machines, tremolo, pickups - is original and in working order, as is the truss rod. Bob leveled the frets and set up the guitar. Comes with original chipboard case with orangy-yellow lining. $875. New 2007 Suhr Pro Series S2 electric guitar in ocean turquoise metallic. Serial #0643. Alder body, maple one-piece neck (no tint). Neck and middle pickups are JST V60s single-coil LPs; bridge pickup is JST SSV Humbucker. Comes with SKB molded case and original order sheet. 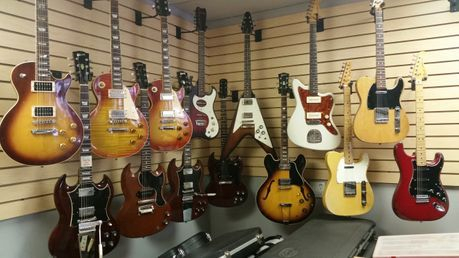 Come in and check out the vintage Fender and Gibson parts and accessories, as well as pickups, necks, pedals and more!